**Note: It’s been 10 years since I’ve been back to Barcelona, 5 years for G. Don’t think neither of us is qualified to give a ton of tips but here goes nothing — a recollection of things we did when we were there. 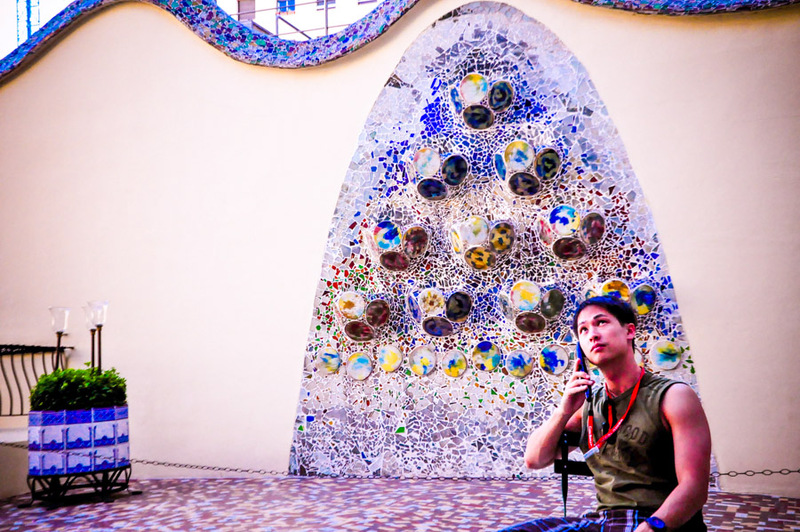 If you’re into architecture or art, this colorful piece of work by Gaudi is worth a visit. Barcelona’s evening water show brings together lights, sounds with dancing water. Be sure to check show times as there are limited showings on weekends throughout the year. No trip is complete without seeing the mother of all gothic churches. Gaudi’s masterpiece has been in construction for over 100 years and still isn’t complete. 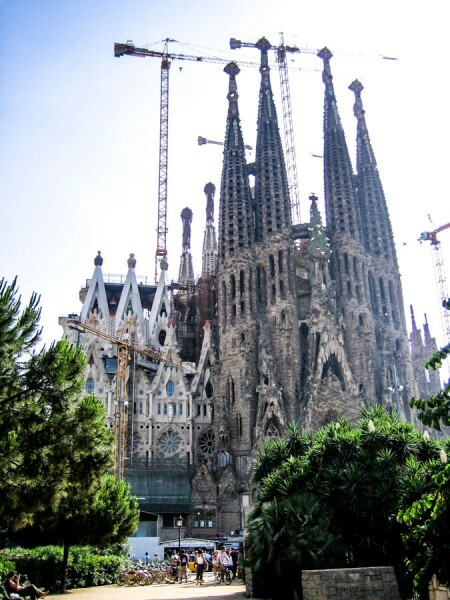 Have to be honest here, we have yet to step inside of this landmark cathedral, we’ll have to save that for our next trip to BCN. 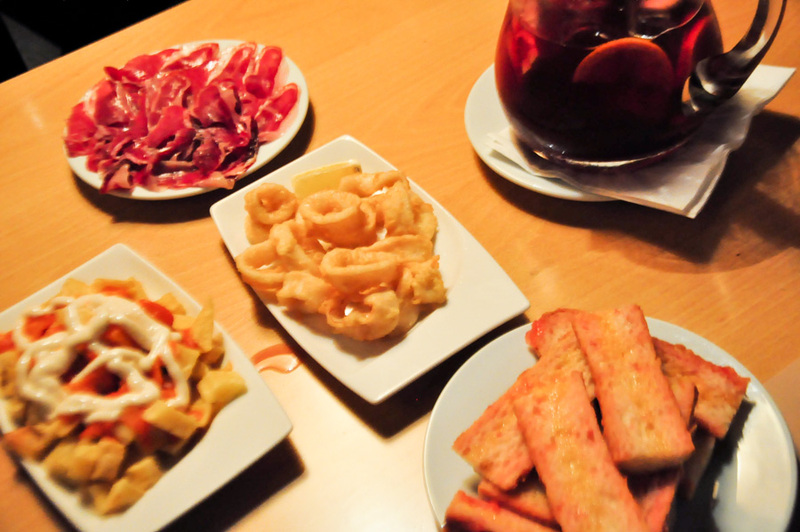 Cerveceria Catalana is a perfect introduction for tapas on your first night in town. Expect a wait, this place is really popular for good reason. Everything on the menu is great. If you want something a little more unique, order the foie gras and cheese flauta. For an excellent take on the modern side of Tapas, head to Tapeo where a former chef of the legendary El Bulli restaurant shows you his side of Catalan cuisine.. 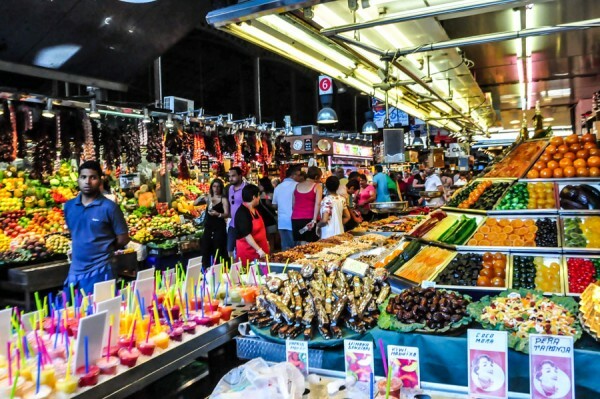 Towards the back of La Boqueria Market, you can find tiny food stalls serving fresh local bites. We found a seafood stall and tried grilled razor clams. Tip: Fruit cups and juices are cheaper towards the back or middle. 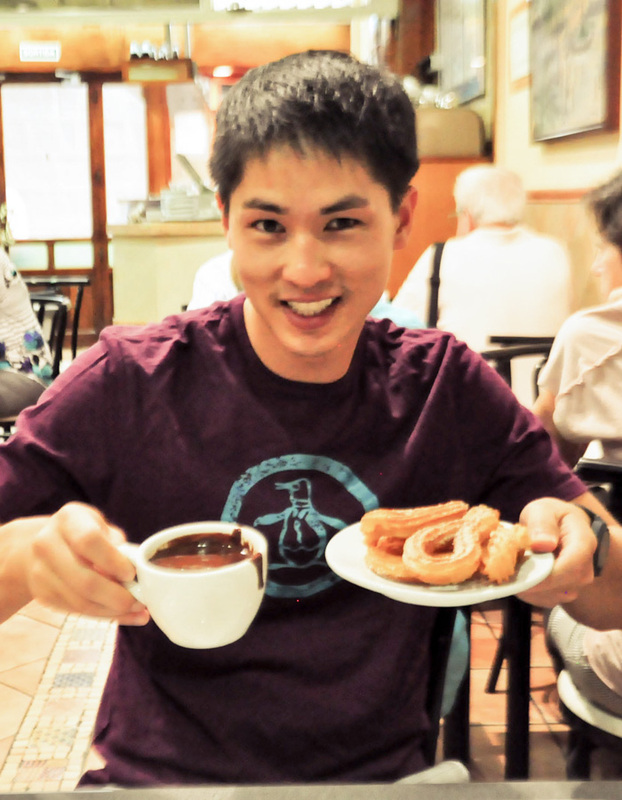 Don’t forget to grab churros con chocolate. La Granja or La Pallaresa are probably your two best bets. Tapa Tapa is a convenient chain with a big menu at affordable prices. We had everything from mussels and fries to fried shrimp, broquetas and of course, a pitcher of sangria. Don’t have high expectations, just be happy that they don’t close for siesta. 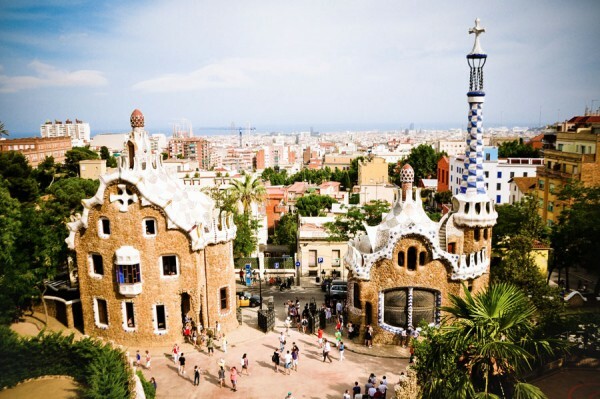 Hike around Park Guell and enjoy Gaudi’s uniquely designed wonder park. Seriously, this place is out there. 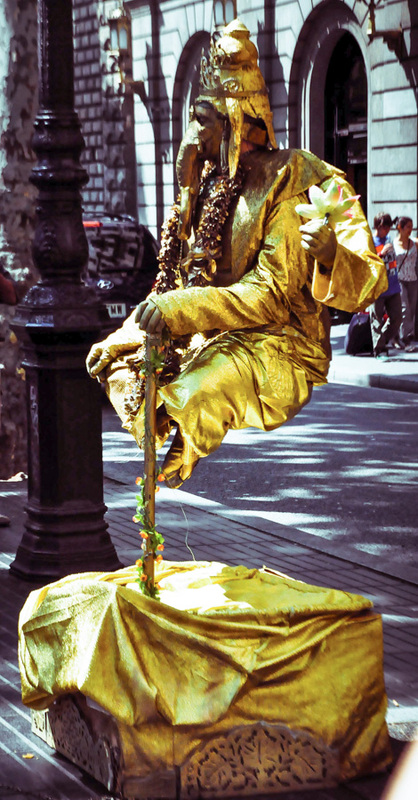 Walk down Las Ramblas and see some of the most impressive line-up of street performers I’ve ever seen. This long street can be packed with tourists and can be a hotspot for pickpockets. So watch your belongings. For Barcelona with a view, you can take the Funicular Montjuic which links Barcelona city with Montjuic mountain. Book a bike tour and see Barcelona on two wheels. It’s a great alternative to walking everywhere not to mention fun with just the right amount of history lesson. A highlight for me was Plaza del Rei. Supposedly this is where Christopher Columbus stood and announced he’d discover America! What’s your favorite thing you love about Barcelona?